What you do at AMD changes everything At AMD, we push the boundaries of what is possible. We believe in changing the world for the better by driving innovation in high-performance computing, graphics, and visualization technologies – building blocks for gaming, immersive platforms, and the data center. Developing great technology takes more than talent: it takes amazing people who understand collaboration, respect, and who will go the “extra mile” to achieve unthinkable results. It takes people who have the passion and desire to disrupt the status quo, push boundaries, deliver innovation, and change the world. If you have this type of passion, we invite you to take a look at the opportunities available to come join our team. 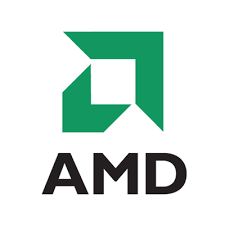 AMD is seeking corporate counsel to join its legal team in Markham, Ontario, specifically to provide legal support to AMD's Global Operations, Procurement, and IT Groups. To be successful in this position, You must: Have 3 – 5 years of in-house or private practice experience: (i) providing legal counsel to clients on intellectual property and business issues, (ii) drafting and negotiating major business and technology agreements, and (iii) partnering with clients to develop internal processes to help manage legal risk; Have a J.D. or LL.B. from an accredited law school in Canada or the United States; Be a member in good standing of a provincial or state bar; Be flexible and willing to assume new or different responsibilities as the needs of the client evolve; and Be comfortable working remotely with clients, colleagues and business partners in the US, Europe, and Asia, recognizing that this may result in occasional meetings in the late evening or early morning. You will have responsibility for handling a variety of commercial matters and must possess strong commercial contract negotiation and drafting skills related to the following types of agreements: General Service Enterprise License Software License, Maintenance and Service Level Electronic Design Automation Non-Disclosure Professional Services Data Security Data Privacy Joint Development IP License (Inbound and Outbound) You will work as part of a larger corporate team, including Operations, IT, Finance and other groups, to support transactions. You will also be expected to work closely with outside counsel, as well as AMD’s other lawyers and paralegals. Occasionally, you may need to travel internationally to meet with clients. Experience with the high-tech/semiconductor sector is an advantage. Proficiency with Microsoft Word is essential, and familiarity with Microsoft Excel and PowerPoint is recommended. #LI-ML2 Requisition Number: 71205 Country: Canada State: Ontario City: Markham Job Function: Legal AMD is an inclusive employer dedicated to building a diverse workforce. We encourage applications from all qualified candidates and will accommodate applicants’ needs under the respective provincial human rights codes throughout all stages of the recruitment and selection process. Any applicant who requires accommodation should contact AskHR@amd.com . AMD does not accept unsolicited resumes from headhunters, recruitment agencies or fee based recruitment services. 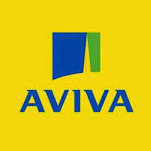 Corporate Counsel (2 - 4 years) Aviva Canada is one of Canada’s leading property and casualty insurance groups, providing home, automobile, leisure/lifestyle and business insurance to 2.8 million customers. A subsidiary of UK-based Aviva plc, Aviva Canada has more than 4,000 employees focused on creating a bright and sustainable future for our customers and our communities. We are seeking a business-minded lawyer with 2 to 4 years of in-house and/or law firm experience to join our General Counsel office as Corporate Counsel. If you are looking to build and grow your skills and experience in a broad range of corporate and commercial matters, this will be a great opportunity to do so in a collegial environment with an employer who appreciates flexibility and recognizes the importance of work/life balance. You will be able to choose to base out of any of our multiple locations within the Greater Toronto Area including our head office in Markham and our downtown office in Toronto. You will have responsibility for handling a variety of corporate transactions and other corporate commercial matters. To be a successful candidate, you must possess strong contract negotiation and drafting skills. Demonstrated experience in corporate transactional work will be an asset. Additional Information Aviva Canada is committed to providing accommodations for people with disabilities during all phases of the hiring process including the application process. If you require an accommodation because of a disability, we will work with you to meet your needs. Applicants need to make their needs known in advance. If you are selected for an interview and require an accommodation, you are encouraged to advise the Talent Acquisition Partner who will consult with you to determine an appropriate accommodation.